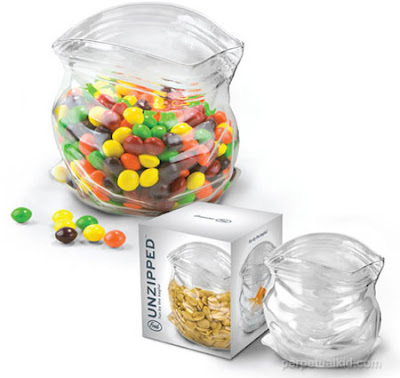 How fun is this unzipped glass bag? I myself think it is really cool. What a great item to have on your desk or sitting on the counter at home. I can see it fast becoming a hot discussion topic where ever it is placed. You can buy yours at Perpetual Kid.